We recently had a driver arrested for DUI in Arkansas that needed information about how to defend against a drunk driving charge. DWI penalties in Arkansas can be very severe. Even first time DWI drivers can face 24 hours to one year in jail or mandatory public service, fines from $150 to $1,000, a six month license suspension, ignition interlock device installation, alcohol education treatment program and mandatory attendance in a victim impact panel. How will an Arkansas DWI affect my commercial License? 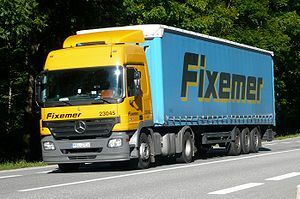 Commercial drivers have been licensed to drive specific sized trucks for commercial purposes. With this license there are extra added responsibilities. If a driver has a commercial drivers license they have given their implied consent to submit to a chemical test if they are arrested for a DUI. What if you are arrested and convicted of drunk driving? If you are convicted of drunk driving you will not be able to operate a commercial vehicle for one year. Drivers who were convicted of DWI and who were carrying hazardous materials will have their drivers license suspended for three years. What about a second DUI? There is a good chance that the state will permanently ban you from operating a commercial vehicle. There is more bad news. There is also a chance that your drivers license will be suspended even if you are not convicted of drunk driving, for instance, if you are arrested for DWI and the officer asks you to submit to a chemical test but you refused or you agreed to the test but your BAC was above the legal limit of 0.4% for a commercial driver operating a commercial vehicle or 0.08% for a driver operating their own car. You may have a choice between a breath, blood or urine test. You may also be allowed to request your own independent test (although you may have to pay for it). The state must perform the chemical test according to the procedures established by the Arkansas State Board of Health. §5065-204(c). How will you know if your license is administratively suspended? If the drivers license has been suspended you will be notified, sometimes by the arresting officer at the time of the arrest. The officer will have to submit a report to the Arkansas Department of Finance and Administration. The officers report will outline the grounds of the DWI arrest and the evidence of the drivers blood alcohol content. The report generally also includes the chemical testing report or a sworn report that the driver would not consent to take a chemical test. What should I do to challenge the DUI? The first thing to do if you have been arrested for DUI in Arkansas is to contact a DWI lawyer. They can help you request an administrative hearing to contest the administrative license suspension. This request must be done within a specific time frame from the date of the Arkansas DWI arrest. After scheduling the hearing the DWI lawyer can review the procedures of the DWI arrest and develop your case to defend against the DWI charges.